You will be provided with a solid foundation in business and general subjects and upon graduation, will be trained to function in a business environment whether local or global, through the exposure to a variety of business subjects such as accounting, business law, and ethics etc. 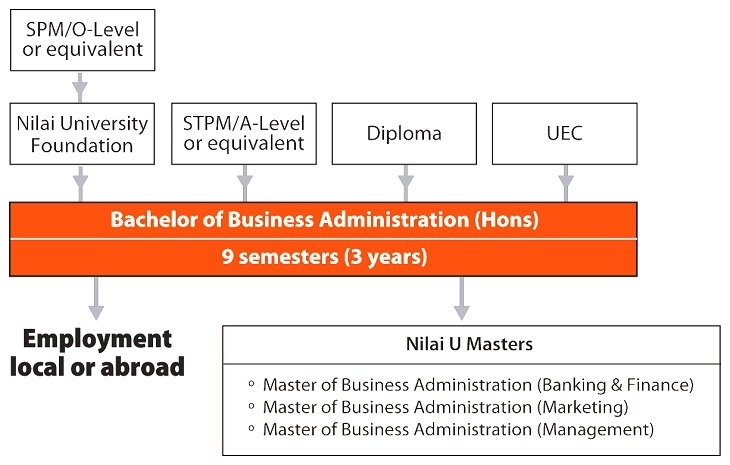 Approved by the Malaysian Qualifications Agency, this programme is well suited for those seeking expertise in the general business management area. For other qualiﬁcations, please consult our programme counselors. *English requirements may apply to International Students.